If you signed up for one or more of our newsletters, you will get that on its regular schedule. If you provided your email address for another reason, we will fulfill that request. If at any time you wish to unsubscribe from our emails, it is quick and easy to do that via the “unsubscribe” link at the bottom of each message you receive, or by contacting us at [email protected] or (720) 213-5992 x1. Neither Marijuana Business Daily nor this site’s publisher, Anne Holland Ventures Inc., will ever sell or give a third party your email address. Your email address will be kept in databases which we have evaluated for security. Only authorized employees and our official vendors such as our email service provider, Eloqua, will have access to your data. If you use our forms to post comments, suggestions or to join the public conversation on this site, your email will not be publicly posted, but only used by our service and/or editorial staff if we have a question. Your submission itself may be moderated by our editorial staff prior to posting in the following ways: we will not change or edit the body of your posting, unless you include an external URL in the comment. We will remove third-party URLs from comments if they are promotional in nature. We will delete or refuse to publish a comment it if it appears to be on a completely unrelated topic, blatantly and wholly self-promotional, a duplicate posting, otherwise spammy in nature, meant to be intentionally inflammatory or contains inappropriate language or content. You own the copyright and are wholly liable for the contents of your posting, however by posting the comment on our site you give us the rights to publish or republish it in any format we desire at any time we wish without contacting or compensating you. For those subscribers and customers who have opted in to receive text communications via an MJBizCon event or other related marketing campaign, it’s important to us that you know we keep those numbers private. We do not release or sell your information to any third party vendors. As conveyed in our marketing materials and via every text, you always have the option to opt out. Simply reply to any text received from us with STOP in the response and you will be automatically un-enrolled from our text update services. 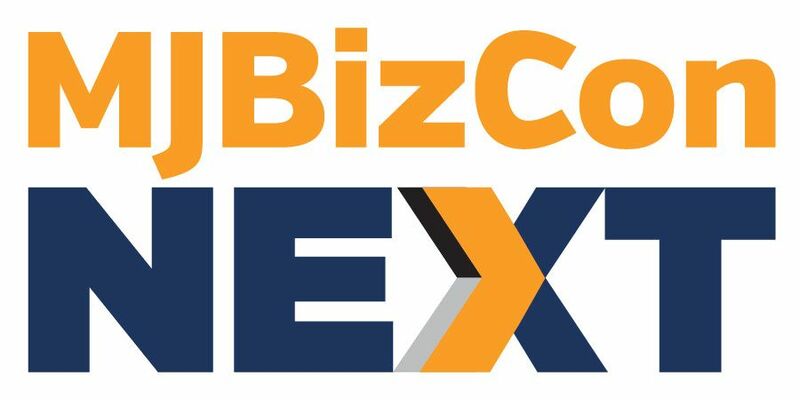 Text updates are reserved for MJBizCon related event updates, periodic promotions for registrations, and other offers only available to text subscribers. If you have any concerns or requests for removal that require speaking with a staff member please email our marketing department at [email protected] or call our customer service line. Please note that we do not synch your mobile opt in automatically with any other customer record you may have with us. So, if you are an EU citizen requesting your information be completely forgotten under GDPR rules, it’s important to include the fact that you are a text subscriber in your request as well. We do our best to fully comply with all requests. Personal information may be processed in multiple countries, including the United States and Canada, where the laws may be different than the laws in your country. By browsing a site and/or otherwise interacting with our offerings, you consent to such transfer and processing. Whenever we process data for these purposes, be assured that we always keep your personal data rights front-of-mind. You have the right to object to this processing if you wish; contact [email protected] or call us at (720) 213-5992 x1. Be aware that, depending on the circumstance, your objection may inhibit our ability to carry out tasks or deliver services for your benefit. Newsletter subscribers always have the right to modify their elections. At the bottom of every email is a link to change their subscription preferences. Our users’ privacy is extraordinarily important to us, and so is transparency. Here are some details about how our site works. Marijuana Business Daily collects and stores information that is provided to us voluntarily by our users. All of these cases are obvious and transparent. When a commenter registers on our site, we collect information such as email address, name and company name. When a user opts into a newsletter subscription, we collect email addresses. When a user makes a report purchase, we collect all information necessary to conduct that purchase, including name, billing information, and delivery information. We may additionally ask voluntary demographic questions. When a user engages in one of our surveys, we will collect only the minimum personal information necessary to complete that survey. The information collected varies depending on the survey, but can include details such as name, title, place of employment, type of employment, and industry segment. As a user navigates our sites, we may collect certain other information, some of it potentially personally identifiable, some of it anonymized. All automatically collected information is treated with respect in accordance with best practices, and no effort is made to link the above information to a particular user with the possible exception of investigating fraudulent or other potentially malicious activities. To help us improve the performance and user experience of our sites, we will employ a standard mechanism called a “cookie” to store limited amounts of information in a site users’ browser. Cookies are employed when necessary to facilitate a transaction (examples include signing up for a newsletter, purchasing a product, or completing a survey), to improve user experience (keep a pop-up window from opening up repeatedly, track aggregate site user behavior), or when otherwise reasonably necessary to allow a third party tool to function. Marijuana Business Daily may also uses web beacons (sometimes called “pixel tags”) to perform aggregation tasks such as collecting information on how many people open our email newsletters and how many clicks each link in those newsletters attracts. We also may use third party advertising companies to serve advertisements that appear on some of our sites. We make no attempt to target a user based upon personal information. Just as we are constantly striving to improve our offerings, we are constantly striving to improve our business practices. If at any time you believe there to be places where we can improve, please email us at [email protected], or call us at (720) 213-5992 x1. When you send news or other materials to Marijuana Business Daily in hopes that we may cite or blog about you, our editorial team assumes that you have the rights to share that information with the press for publication. We will honor any restrictions you may choose to place on the use of the information, including using information for background material only or limiting the data to our published newsletter only, provided those restrictions are clearly communicated at the time the information is provided to our editors. In the absence of such restrictions, we reserve the rights to publish, to create derivative works from, or otherwise use your submitted news and materials in any format we desire at any time we wish without contacting or compensating you. If the material has already been revealed in a public forum, such as a blog, article, webinar or speech, and it is not specifically copyright protected, this information is considered to be in the public domain and freely available for use by our editors in any format or situation they deem appropriate. While it is our policy to contact you for additional information and as a courtesy prior to reproducing any images contained therein before we add that information to our library of published content, we reserve the right to reuse the materials and images in any format, or in any derivative work we create, at any time, in the future without contacting or compensating you. You have the right to use any factual information – such as statistics – publicly available on this site or its related publications, PDFs, webinars, or similar. You may also quote up to two sentences of text from any of these sources directly, including our posts and commentary, as long as you give proper citation showing the source to be Marijuana Business Daily. However, you may not use whole paragraphs or entire stories from our site or copy/reproduce any graphics – including but not limited to our own charts and our logo – without written permission from us. You may not produce derivative works based on our work or format. You can get this written permission by contacting us here with the details of what you’d like to reproduce and how it will be used. Any company or individual who publishes unauthorized copyrighted content from our site is subject to $100 per day per article fine payable immediately upon receipt of invoice. You may link to any publicly available piece of content on this site directly. We like SEO and encourage deep and frequent linking! These policies are subject to change without notice; however, it is our company policy to try to maintain your privacy at all times. By surfing this site and/or submitting any forms, story ideas, awards entries, profile upgrades, or emails, you are agreeing to our policies. If you have any questions, contact us at this link or phone our customer service line at (720) 213-5992 x1 where a real human being will answer during most East Coast US business hours. Thank you!